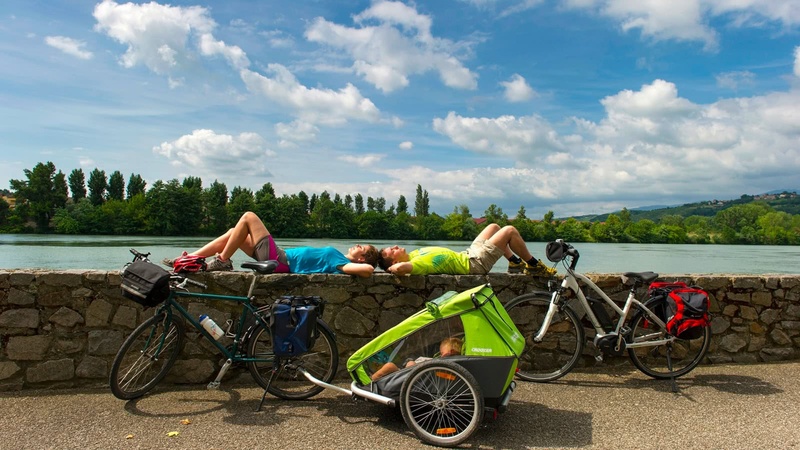 There are plenty of outdoor activities adapted to everyone, with 12 cycling routes and greenways; 17 major routes for hiking, cycling, mountain biking or horseback riding; 13,500 km of GR/GRP footpaths and 79 sites and bases for mountain biking. 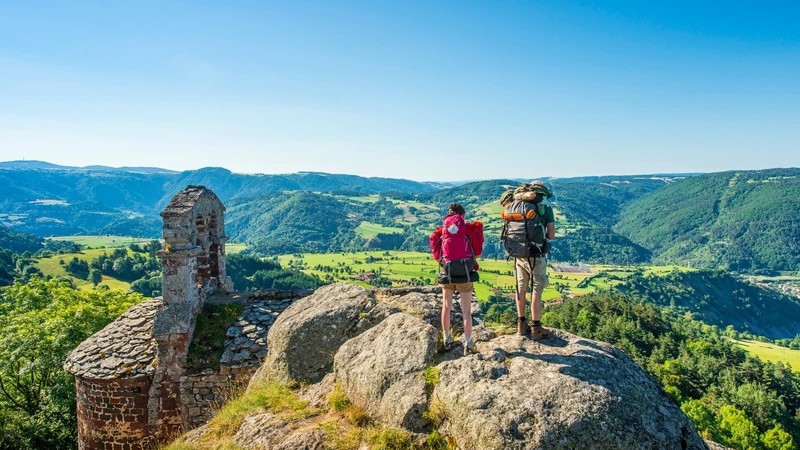 Auvergne-Rhône-Alpes welcomes all kinds of visitors for outdoor activities, whether atop Mont Blanc, the summit of the Alps at 4810 m, in the volcanic craters of the Chaîne des Puys, along fields of lavender or surrounded by forests of three-hundred-year-old oak trees. There are challenging trails for expert hikers, family walking paths, cycling routes, breathtaking spots for water sports or aerial adventures, and so much more. Cyclists come from all around the world to ride in the tire treads of the Tour de France and climb the mountain passes. The pleasure of cycling can be savoured all throughout the region, whether around the lakes, along the rivers or on the plateaus. Mountain biking enthusiasts can also live their passion here. 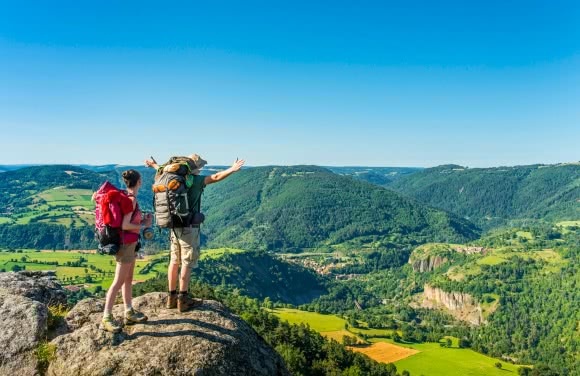 As for hiking, our region is criss-crossed by a dense network of marked paths and major routes to discover on foot, by bike or on an electric mountain bike. Diverse, accredited and charming activities to discover in a group, as a family, individually or alongside a guide. 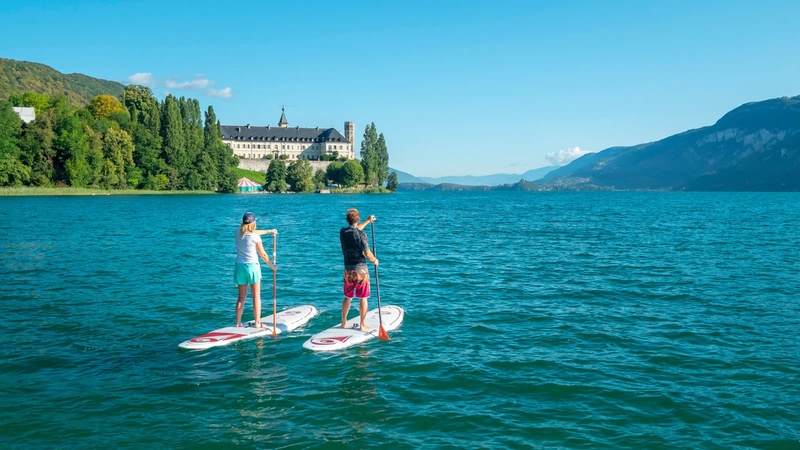 With its four major Alpine lakes (Lake Geneva, Lake Bourget, Lake Annecy and Lake Aiguebelette) and Auvergne’s volcanic lakes, Auvergne-Rhône-Alpes is the top region for swimming spots in the mainland of France. Fans of water sports can also safely enjoy sailing, canoeing or paddleboarding on high quality water. The Gorges of the Ardèche and the Pont d’Arc are among the most beautiful white-water spots, for a canoe or kayak outing over 30 km. 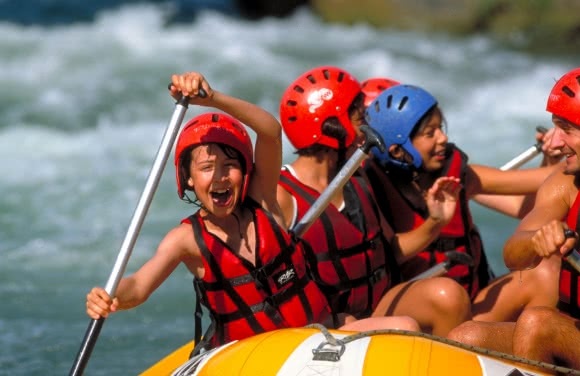 In the gorges and valleys of the Alps, discover rafting, riverboarding and canyoning on tumultuous river rapids. 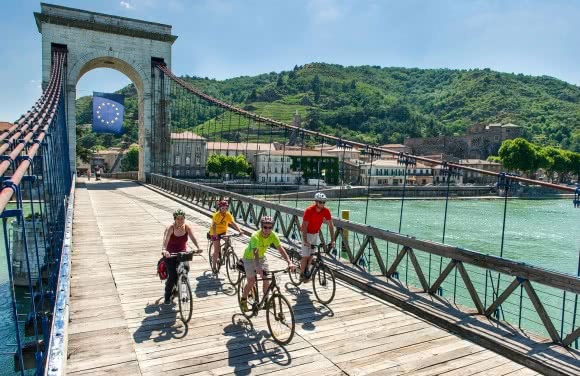 The region has 12 cycling routes and greenways with 2,480 km of itineraries registered in the national cycling network, including 580 km of EuroVelo routes. All kinds of cyclists can give it all to their passion, whether on cycling routes, along back roads shared with motorists (with little traffic), or on green ways that are restricted to cyclists and other non-motorized transports. Cycling routes and greenways are the perfect chance to discover the rich heritage of the lands you pass through and enjoy them at a leisurely pace. Gastronomy, wine growing, culture, heritage and nature will be your travelling companions. Head out along one of our major routes! Discover the spirituality of the trails of the Way of Saint James, cross the Cevennes Mountains with a donkey in the footsteps of R.L. Stevenson, follow the paths of exile of the Protestants toward Switzerland on the trail of the Huguenots, or head out on the exceptional Routes de la Lavande and discover the secrets of lavender, an exceptional plant. Our long and prestigious routes are also perfect for an adventure: Tour du Mont Blanc, Grande Traversée des Alpes on the GR®5, Grande Traversée du Jura, Grande Traversée du Massif Central, Chemins du Soleil, Route des Grandes Alpes and more. 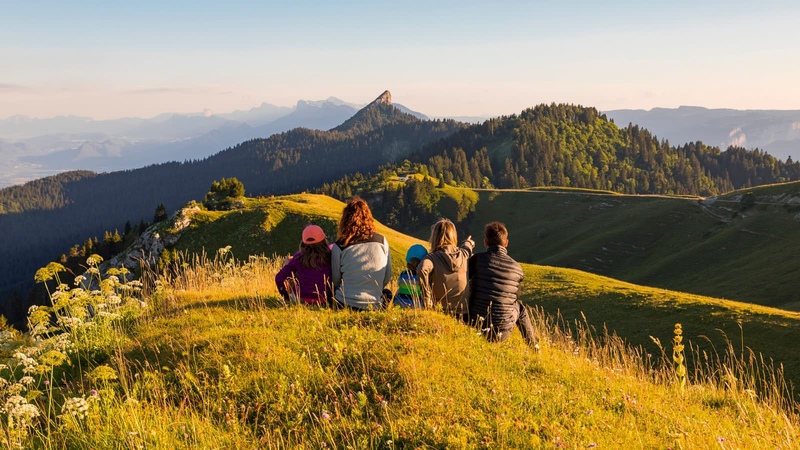 Thousands of kilometres, stunning panoramas and an infinite range of landscapes to discover for three days or three weeks, whether on foot, by bike or on an electric mountain bike. 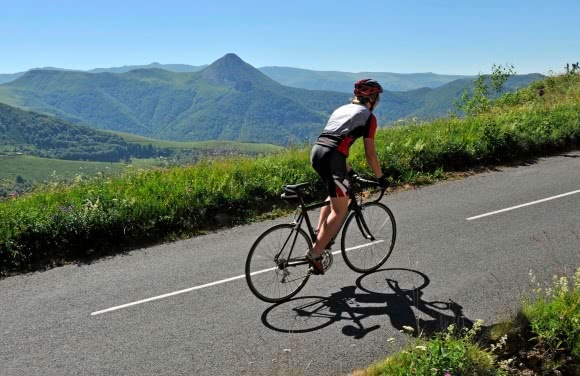 Legendary mountain passes, perfect roads and authentic landscapes: Auvergne-Rhône-Alpes is a paradise for fans of road cycling. Around the lakes or along the rivers, the flat routes make for an easy ride. Riders can visit the region at their own pace along the many tourist cycling loops. For road cyclists, climb the legendary mountain passes of the Tour de France along the Grandes Alpes de Savoie Loop.